Most of your organizational knowledge is stored in documents. Text Mining & Entity Extraction is the foundation of multiple applications essential for knowledge-intensive corporations in a digital environment. Text-based web information contains valuable insights into your customers and target markets. Unlock the meaning and context of your most important knowledge objects: create your competitive advantage! 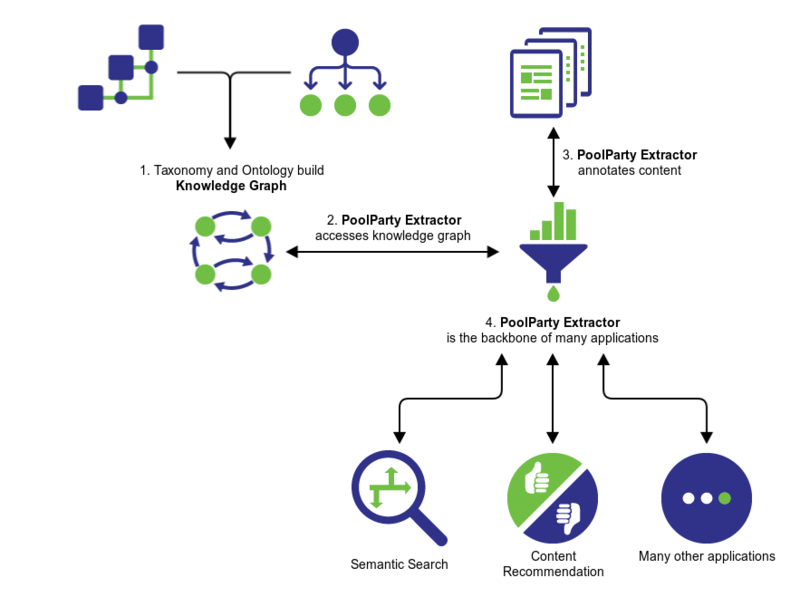 PoolParty Taxonomy and Ontology Management lets you develop a knowledge graph – thus structure and represent your prioritized knowledge domains. You upload all relevant documents, which get analyzed. The highly performative PoolParty service extracts entities and terms following a sophisticated text mining algorithm. You use Text Mining & Entity Extraction as an underlying technology for explicit application services: semantic search, automatic content tagging or personalized content recommendations. You can use the module as an underlying technology for explicit application services: semantic search, automatic content tagging, or personalized content recommendations. You can also use the Text Mining & Entity Extraction module for quick and very specialized analysis purposes. Just upload the documents and generate a report on term frequency or sentiment analysis. PoolParty analyzes the most common media formats like PDF, Word, Excel, PowerPoint, RTF, EPUB, Jpeg, MP3, FLV, Mbox or HTML.